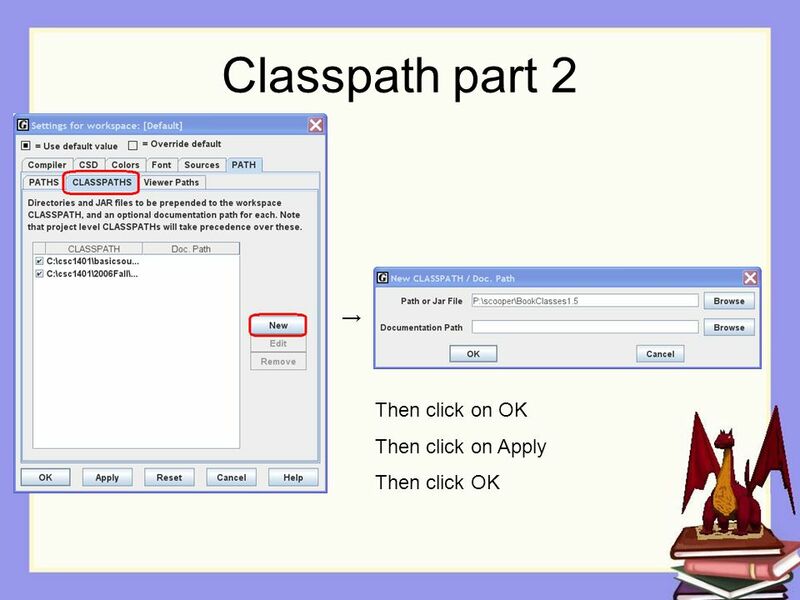 Introducing Java CSC1401. 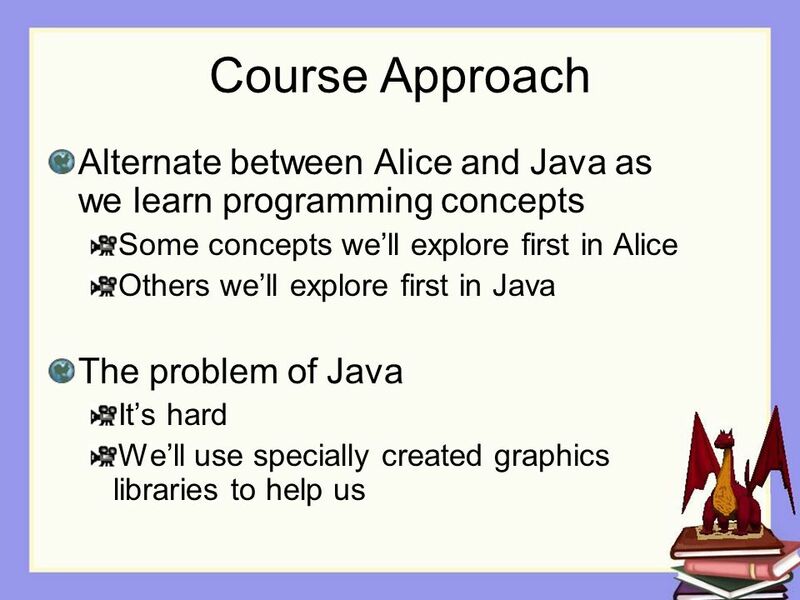 Course Goals Teaching programming concepts In a “real” language. 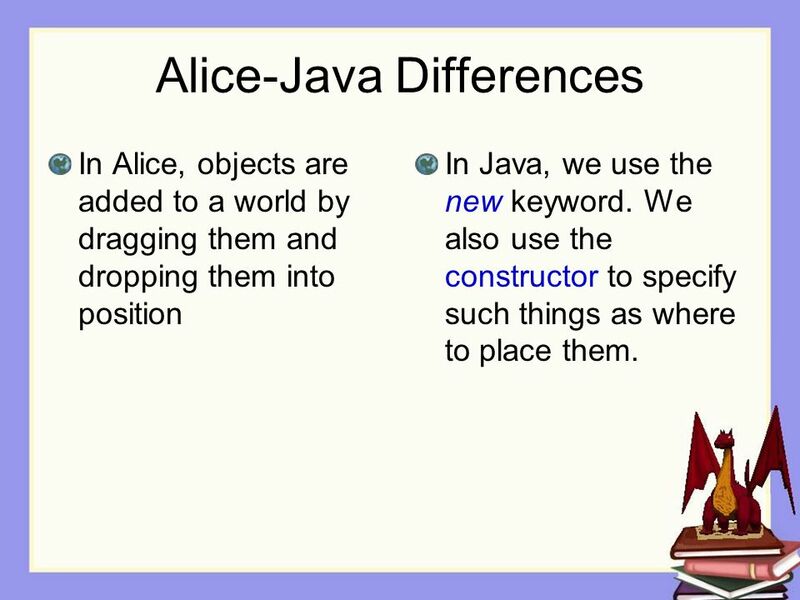 10 Alice-Java Differences In Alice, objects are added to a world by dragging them and dropping them into position In Java, we use the new keyword. We also use the constructor to specify such things as where to place them. 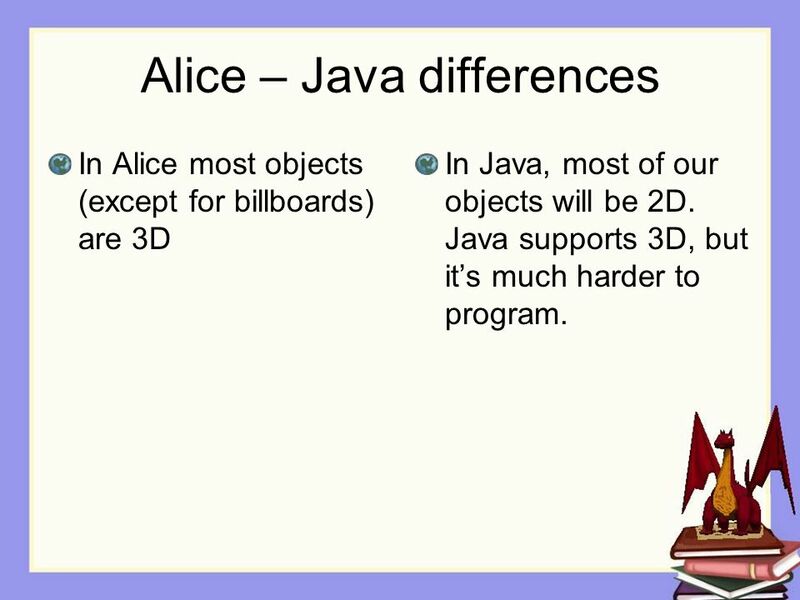 15 Alice – Java differences In Alice most objects (except for billboards) are 3D In Java, most of our objects will be 2D. 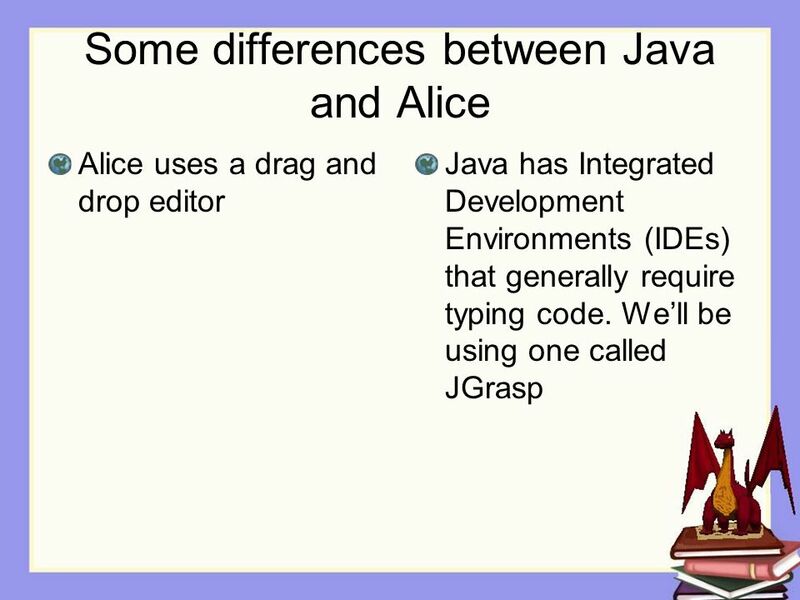 Java supports 3D, but it’s much harder to program. 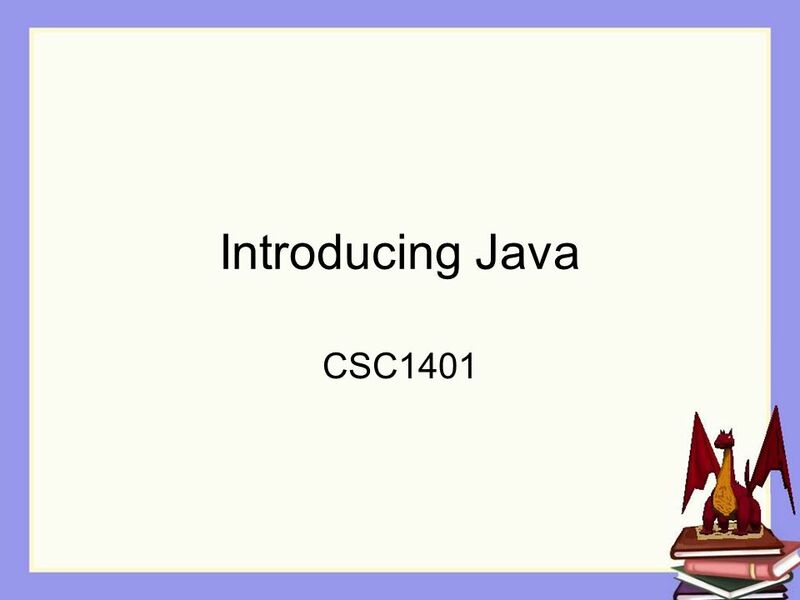 Download ppt "Introducing Java CSC1401. 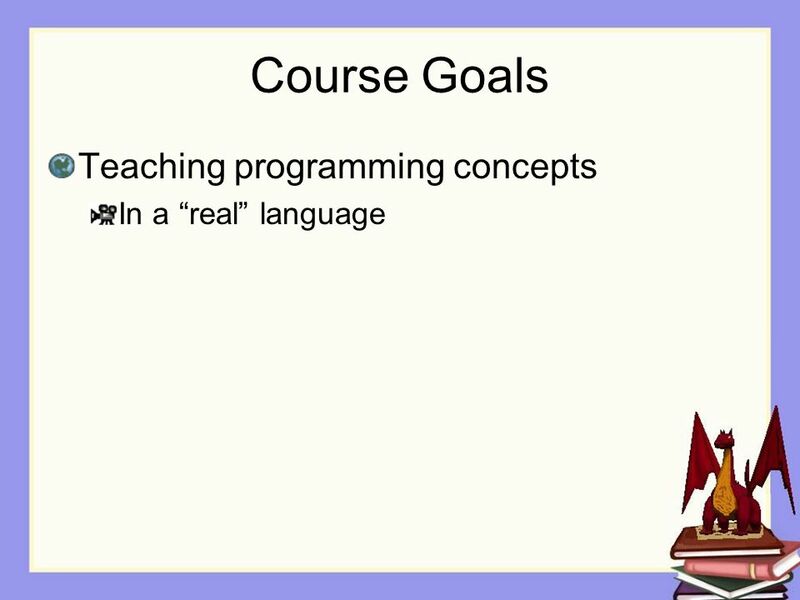 Course Goals Teaching programming concepts In a “real” language." 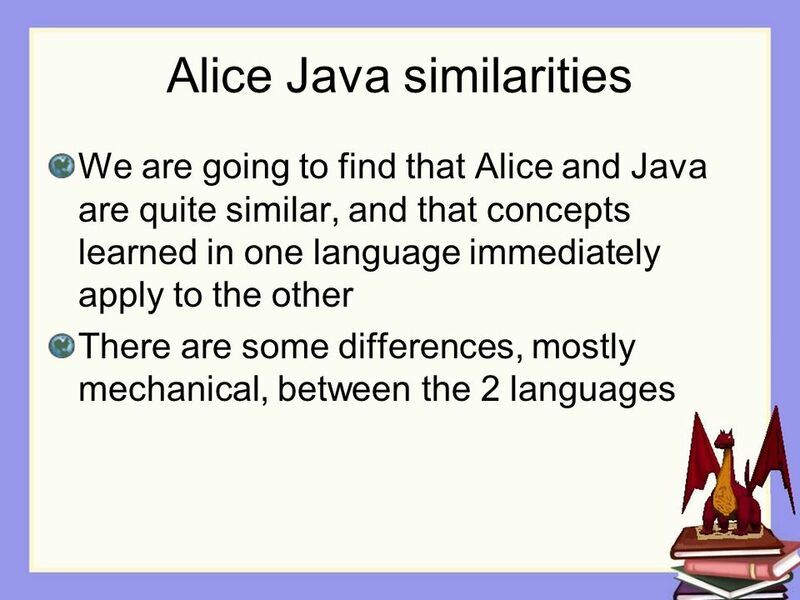 Introduction to Java 2 Programming Lecture 4 Writing Java Applications, Java Development Tools. 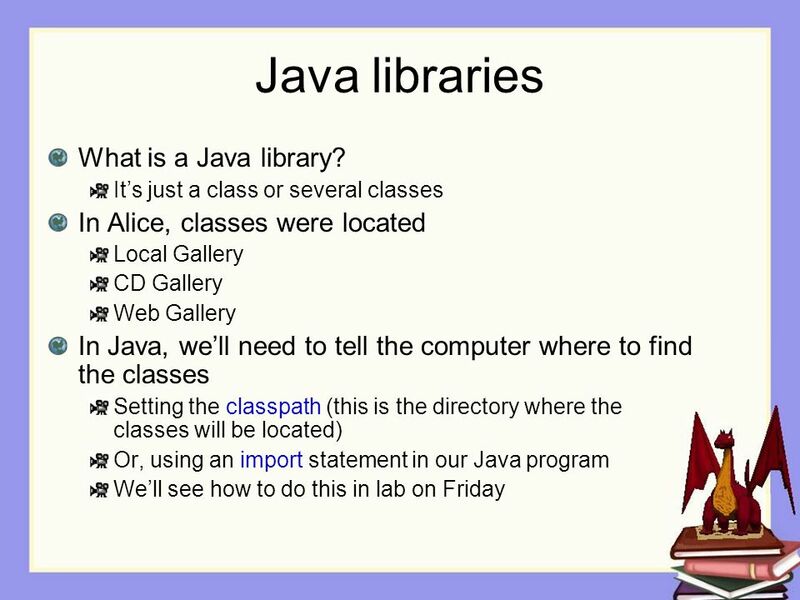 Introduction to Java 2 Programming Lecture 3 Writing Java Applications, Java Development Tools. Using Eclipse. 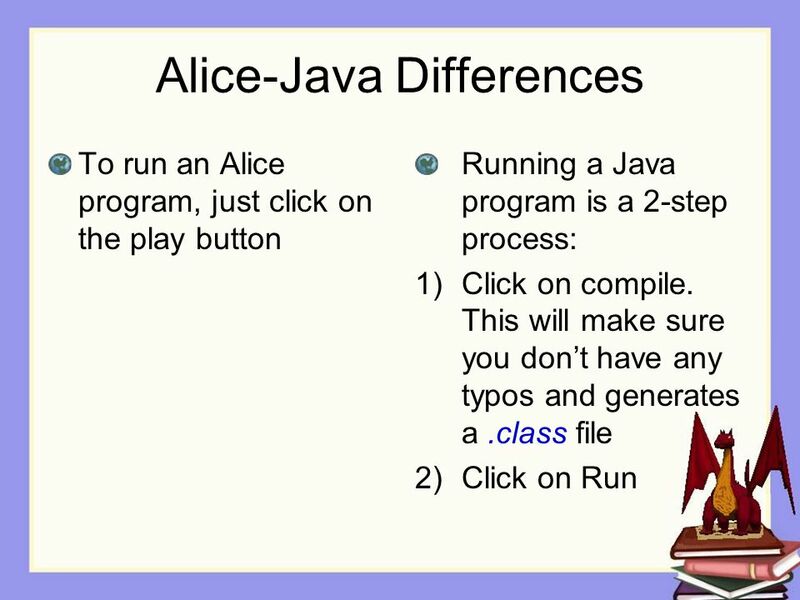 Getting Started There are three ways to create a Java project: 1:Select File > New > Project, 2 Select the arrow of the button in the upper. 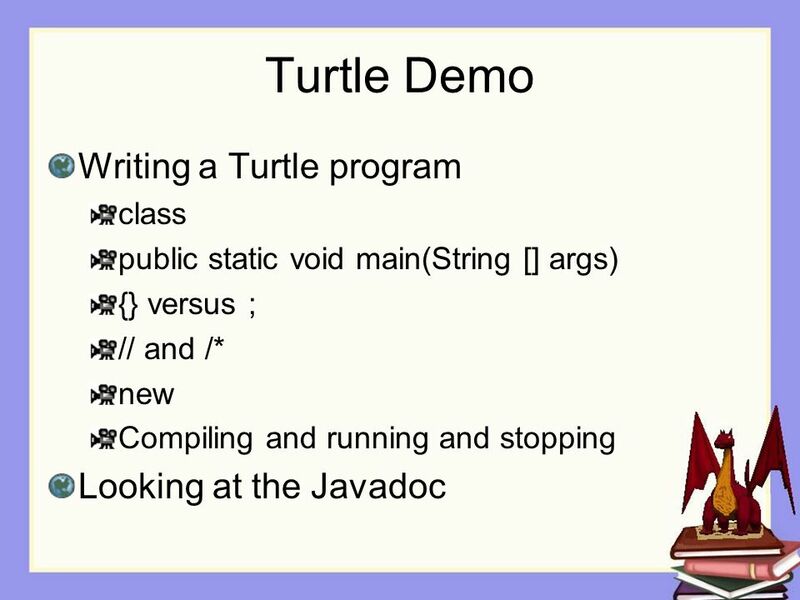 MC697 Object-Oriented Programming Using Java. 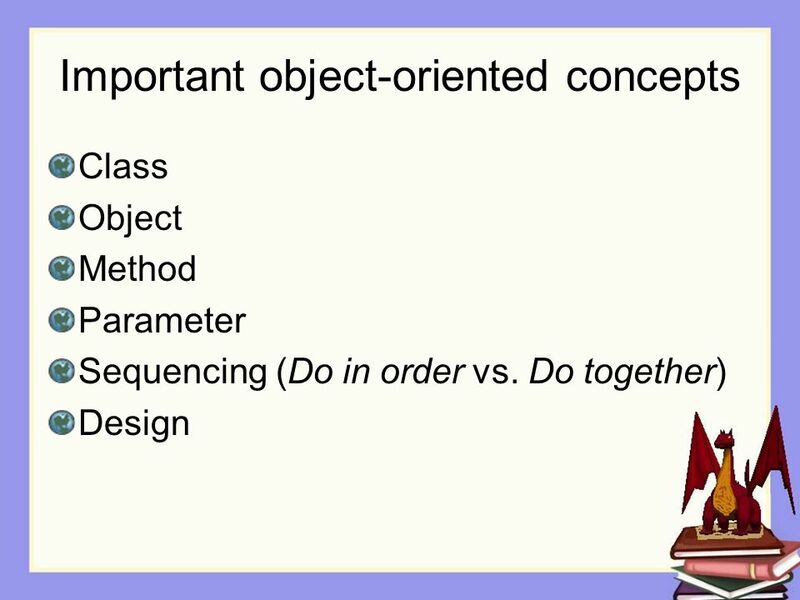 In this class, we will cover: How the class will be structured Difference between object-oriented programming. Georgia Institute of Technology DrJava Appendix A Barb Ericson Georgia Institute of Technology May 2006. 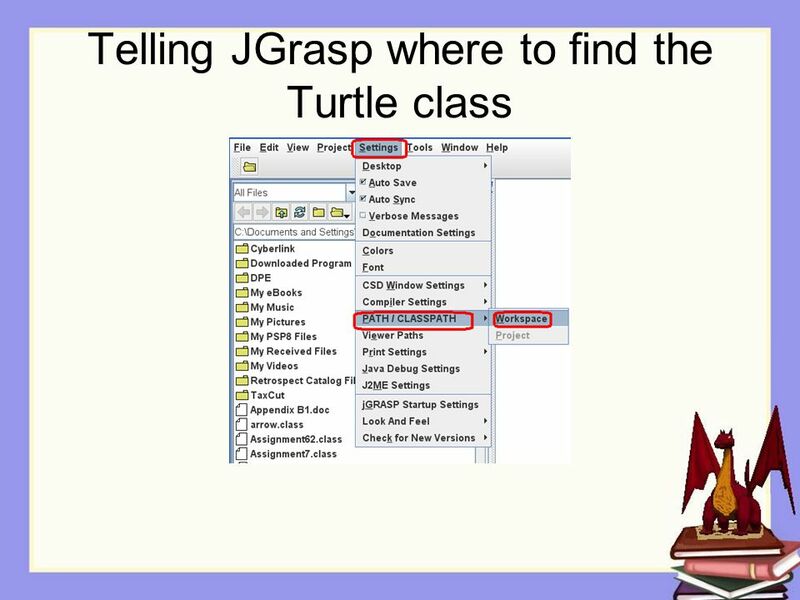 How to Create a Java program CS115 Fall George Koutsogiannakis. 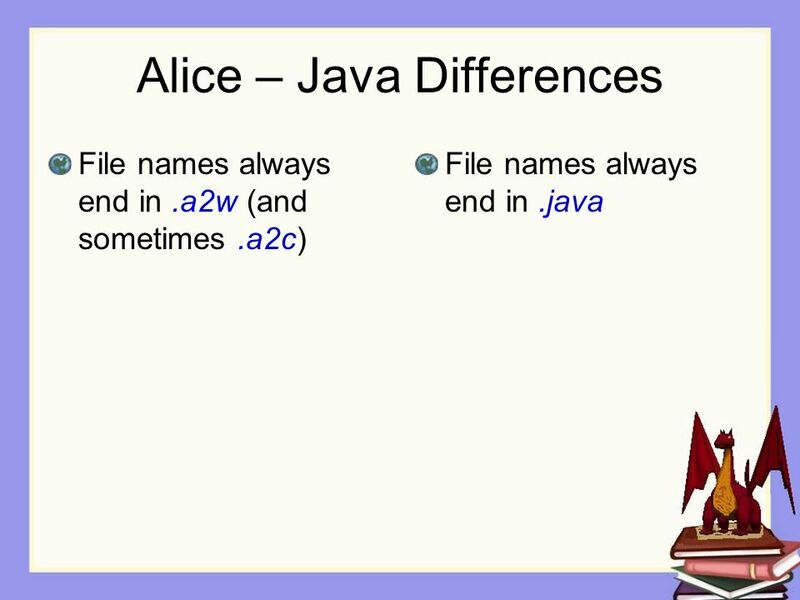 Programming in Alice Chapter 2 Part 2. Events Editor Identifies what method is executed (run) when the “Play” button is hit 2. Chapter 1 - Introduction. 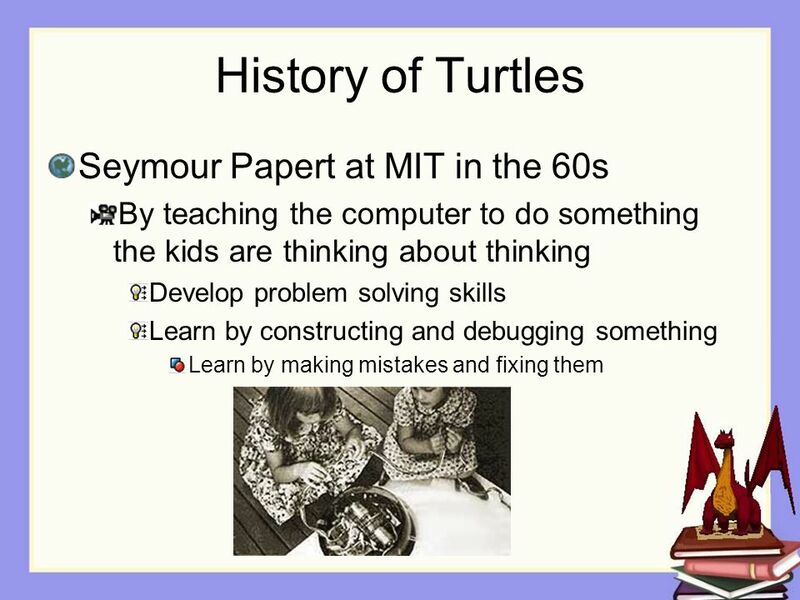 Ch 1Goals To understand the activity of programming To learn about the architecture of computers To learn about machine code. 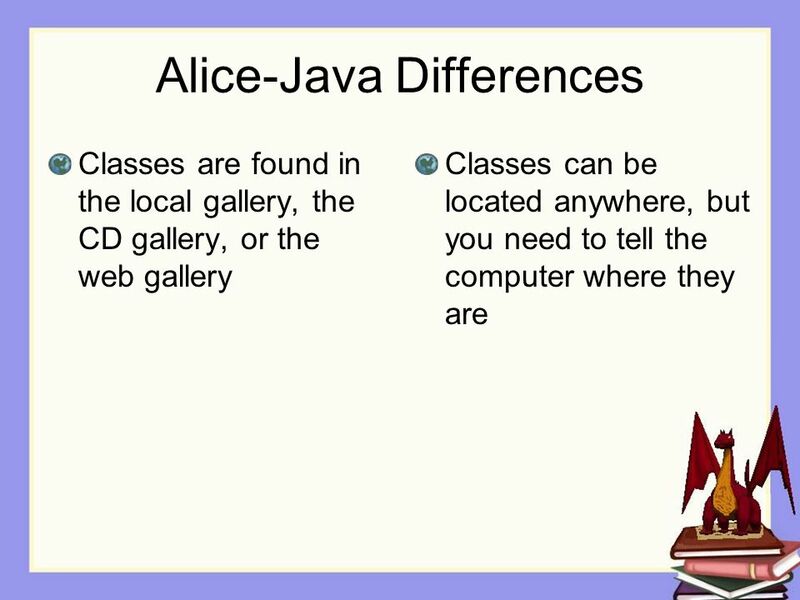 01-Intro-Object-Oriented-Prog-Alice1 Barb Ericson Georgia Institute of Technology Aug 2009 Introduction to Object-Oriented Programming in Alice. Peter Andreae Computer Science Victoria University of Wellington Copyright: Peter Andreae, Victoria University of Wellington Java Programs COMP 102 #3. 04-Intro-Object-Oriented-In-Java1 Barb Ericson Georgia Institute of Technology Sept 2009 Introduction to Object-Oriented Programming in Java. 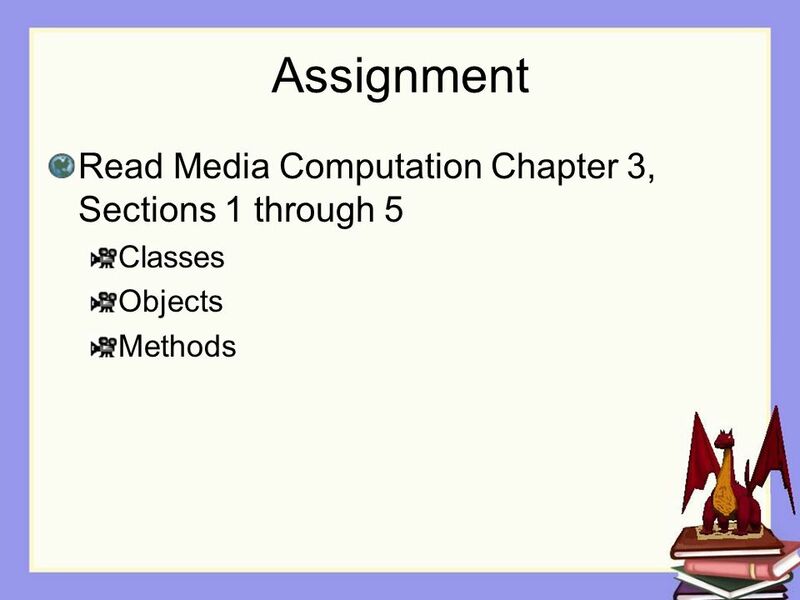 Visual Basic Chapter 1 Mr. Wangler. 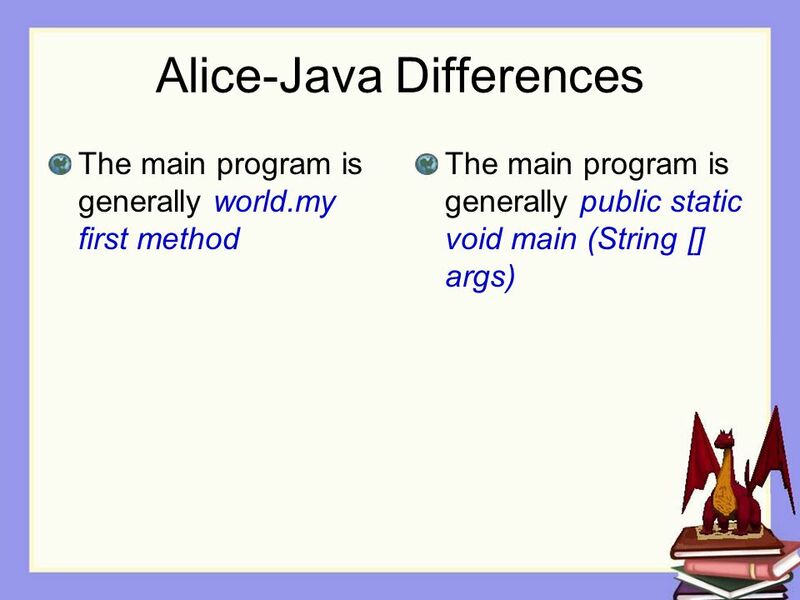 Introduction to Java Appendix A. 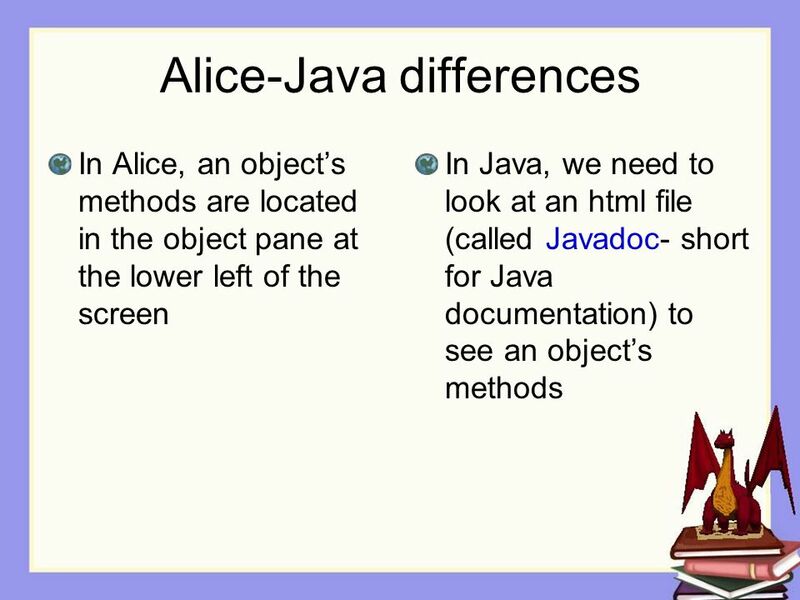 Appendix A: Introduction to Java2 Chapter Objectives To understand the essentials of object-oriented programming in Java. 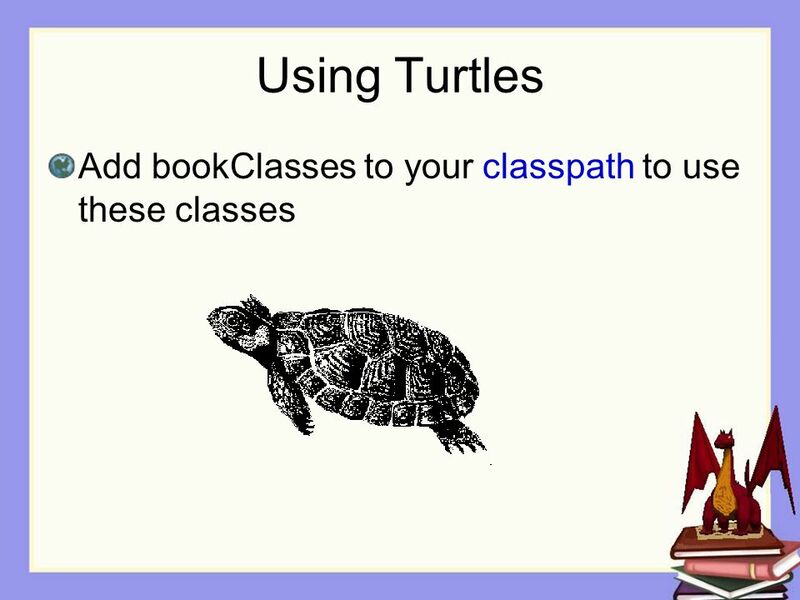 11 Getting Started with C# Chapter Objectives You will be able to: 1. Say in general terms how C# differs from C. 2. Create, compile, and run a. 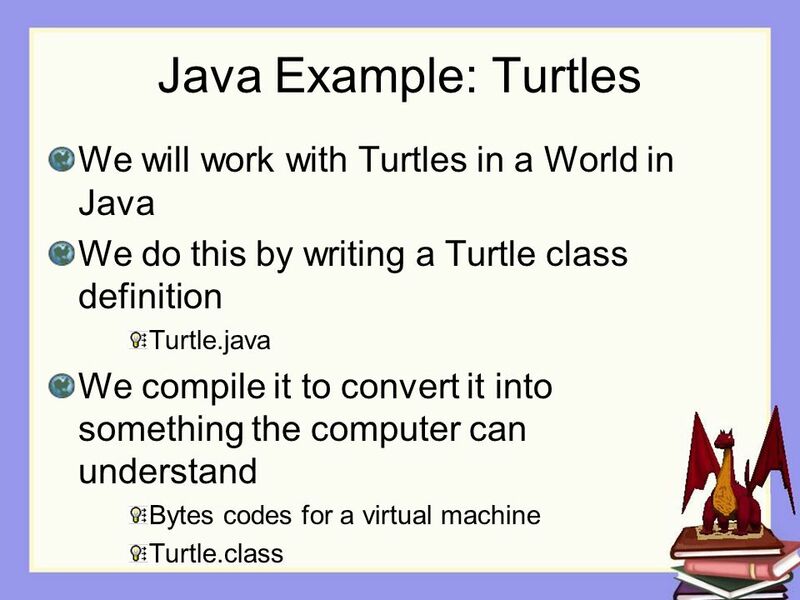 Chapter 1: Introducing JAVA. 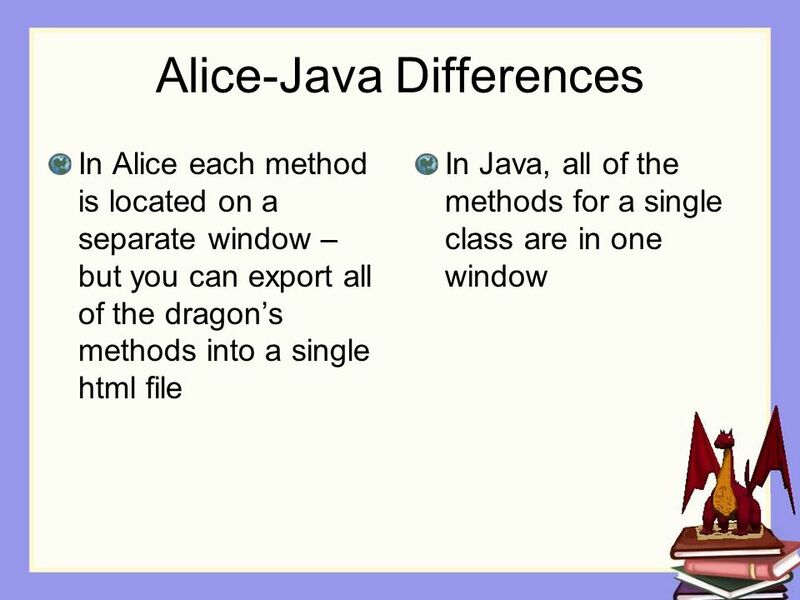 2 Introduction Why JAVA Applets and web applications Very rich GUI libraries Portability (machine independence) A real Object.